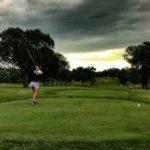 The Nebraska Golf Association partners with the Nebraska Women's Amateur Golf Association to provide avenues for women of all ages and skill levels to play, compete and enjoy the game of golf. 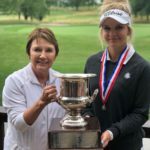 The two organizations co-present the state's premier championships for women, the Nebraska Women's Amateur and the Nebraska Women's Match Play. The NGA also handles administrative duties for NWAGA, including the conduct of six other tournaments. 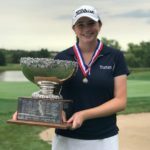 The NGA also conducts championships for junior girls, which can be found under the Competitions tab, with other opportunities for junior girls available under Nebraska Junior Golf.